DynamiteQR is a mobile platform that allows event organizers to map the social media footprint of their event’s attendees. Our software allows a strategic mapping of the top influencers in the social media space who are attending an event. There are 2 core uses for this platform. 1) Using a set of QR codes will allow you to quickly engage your event attendees while simultaneously mapping their activity online at an event. 2) Product marketers will leverage this platform to enable event attendees to promote products to the attendee’s social media followers. DynamiteQR can be utilized as a stand alone platform or it can be easily integrated with event ticketing systems such as Eventbrite. DynamiteQR is a mobile platform that allows event organizers to map the social media footprint of their event’s attendees. Our software allows a strategic mapping of the top influencers in the social media space who are attending an event. 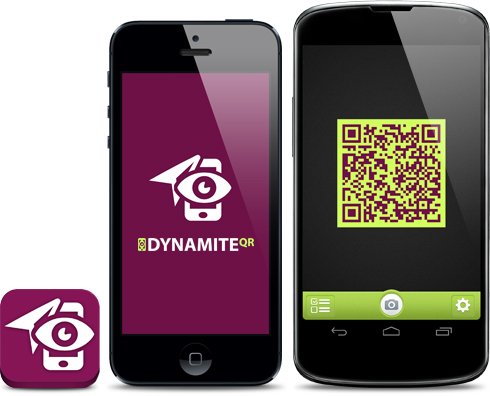 In order to save yourself time at the event, download the DynamiteQR app now in order to be ready before the event you are attending starts! Signing In it easy, just sign in with one of your social networking profiles below! Create organizations, then add events and tags to each organization for your event! Invite everyone or just specific people, it's up to you! You have the power to invite whoever you want. Spread the word, promote your organization and event via social media.